Hayao Miyazaki! Lover of air, lover of the wind, lover of flight! Lover of human beings and umbrellas and flying machines! Lover of all that flies or that dreams of flight or that flies only in dreams! Of the four mythical elements, Tarkovsky made films out of Earth, Kubrick made them from Fire, Orson Welles from Water – but to you belongs the consummate artistry of Air. On the poisoned earth at the world's end, hope is the colour of blue: a girl's dress washed blue in blue blood, as blue as the hopeful sky. In my mind the flying castle had become so natural, so taken for granted, that when the girl in the blue dress levitated, when she floated on pure air, I was stunned. Only later did I remember that everything that passed before my eyes had been levitating, floating on pure air. Standing in the rain at the bus stop with an umbrella in my hand, by the light of the street lamp I saw its feet, its big shy feet, and fell in love with a flying creature as strange as dreaming. The bakery, the broomstick, the black cat, the girl with the wind in her hair, the magic of small things: "We fly with our spirit." Gods and demons, wolves and blood, prostitutes and lepers. 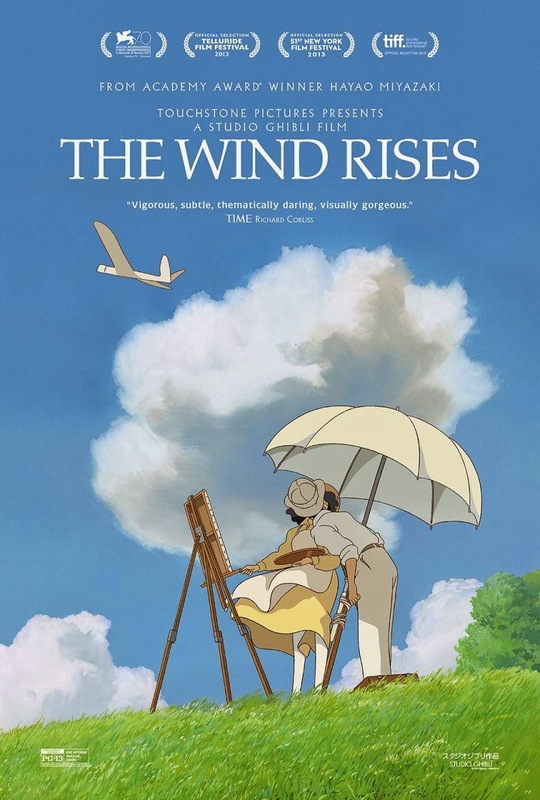 It all sounds perfectly regular, but in fact it is the strangest thing in the world: a Miyazaki film with no flying. Luckily there is a beheading, so my children liked it all the same. Of all the Disney children's horror films set in brothels, this is quite possibly the best. I love you, old lovely wise young Sophie! I love you, Howl, you and your feathered wings, you and your generous lost heart! I love you, O wondrous ever-changing castle that creeps upon the earth! I love you, Turnip Head, magic scarecrow, you whose changeless face expresses more than symphonies! After I watched it the first time, I hurried to put the children to bed and then sat down and watched it all again. It was midnight when it finished for the second time, and I leaned back in the darkness and thought: truly it takes magic and mermaids and flying things to show the ocean for what it really is. Driving home from the cinema today I saw in the distance an aeroplane, an ordinary flying machine lumbering its way across the Sydney sky, and for just one second my heart thrilled as if at the sight of magic.